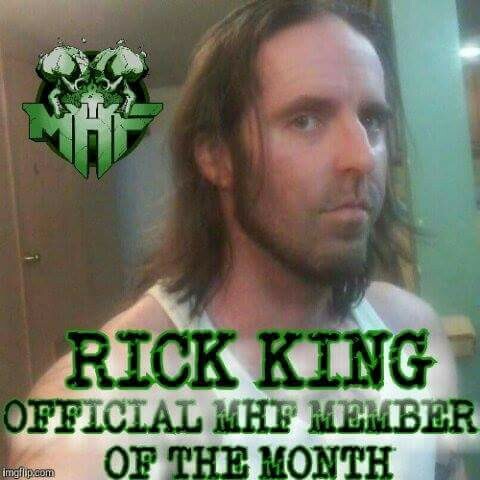 2017’s first member of the month is Rick King! Rick is 35 years old, and lives in Idaho. He enjoys working out, watching true crime shows, reading anything non fiction, and of course listening to music. His favourite band is Agalloch, and others on his list are Kreator, Rotting Christ, Insomnium and early Tristania. When Rick is not working, he’s very active in Metalheads Forever, and he’s a very nice guy, which makes him the perfect winner of the title. On behalf of MHF: Congratulations and thank you for your dedication to Metalheads Forever!